It's all about convenience: Reincarnation of Retail with IoT! It’s all about convenience: Reincarnation of Retail with IoT! Internet of Things (IoT) is the budding business which is taking its lead in the retail industry. IoT has many drivers that helps getting majority of the share to the retail market but is also foreseeing some barriers that are hindering its full potential. Statistics prove that by the year 2020, the retail IoT market can see a Compound Annual Growth Rate (CAGR) to 20% or approximately $39 million! 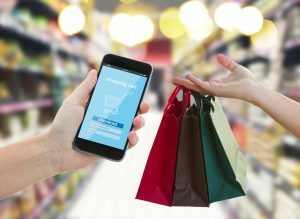 This enhancement will occur by simple advancements such as improving cost at the market through beacons pairing with applications in retail businesses that will directly affect the consumer. The real question that arises is what kind of barriers will bring forth the challenge that might affect the full bloom of this industry. A concern regarding the production of more devices creates barriers for resources around the world. With more IoT devices being produced, what resources will be left to continue production and at what cost? A good example would be the new phones being developed by Apple, Samsung, and other mobile giants which are costing more to produce! The cost to create a smartphone not only goes into its production but also in the labor behind it and having the ability to implement new and advanced technologies to match the increasing consumer demands of certain applications. Going forward, it is being proposed that IoT will regulate the pricing-based with production on captured and connected data. Applications and Hardware will be the key drivers enabling IoT to become a standard in retail. These applications will give real time pricing through signage and direct consumer marketing. IoT will simply have the advantage of utilizing the data captured from the consumers that would make it more efficient in delivery. Another barrier IoT will have to face will be the security issues that could potentially be irreversible for customers along with connectivity issues if the network is unable to reach all consumers. The margins become even thinner if IoT does not become accessible to the entire public. Contrary to the challenges it faces, IoT also has a good chance of succeeding because consumers are always cost sensitive due to the economy. The devices used to help connect consumers will be seen growing in the industry of residential property, autos, and cities that are enabled by a connected network. If there will be no government intervention and regulation on data captured, then the big corporations will continue to invest millions of dollars to decrease the cost of its production which will aid in gaining profits. The IoT is here to stay and the future retail market is an ever-changing landscape of profit. Most of the articles in retail would be surrounding the ideas of how to make the most of these devices and how to make it a profitable industry. Something to think about though would be that will IoT be good for the small businesses? Will it just funnel all the consumers to one place to spend their money? These are the questions we ask ourselves after reading these articles from the Business Insider. * The goal is to research how IoT can help the consumer by educating them about this upcoming topic! Let us know your feedback behind this idea!